TLT will take place in room S9, Floor 1 (2nd floor in U.S. counting) of the "MFF UK" building (see below). Please note that the WPACL workshop on January 22 will take place in room S1, Floor 4. There will be signs posted near the front desk and in the appropriate floors. The venue of TLT 16 (the Computer Science School building, see the left-hand picture below - on the horizon, the Prague Castle (Hradčany) can be seen as well) is in the center of Prague, in the Lesser Town. The building itself has been built in today's shape in the 17th century, and it served as a jesuit monastery. It has a rectangular shape with a small yard in the middle; three wings now belong to the University, and the fourth to the (roman-catholic) church. 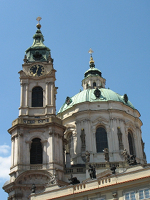 The church is the largest baroque church in Prague (the right-hand picture). 36 Gigapixel 360° view from Petřín tower. Check how many of our department windows are open. Map of floors, indicating rooms and departments. We are ÚFAL, located on the fourth floor. Note that, typically of a CS department (corresponding the U.S. counting), the map is 1-indexed while the elevator and speakers in it (in Czech) use 0-based indexing. 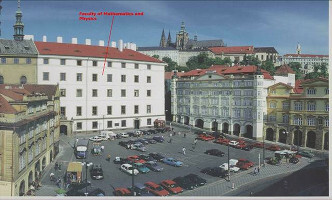 Participants can find suitable accommodation also on www.czechsite.com. Prague can be easily reached by air from popular gateways to Europe including London, Paris, Amsterdam, Frankfurt, Zurich, Helsinki, Rome, Dubai etc. 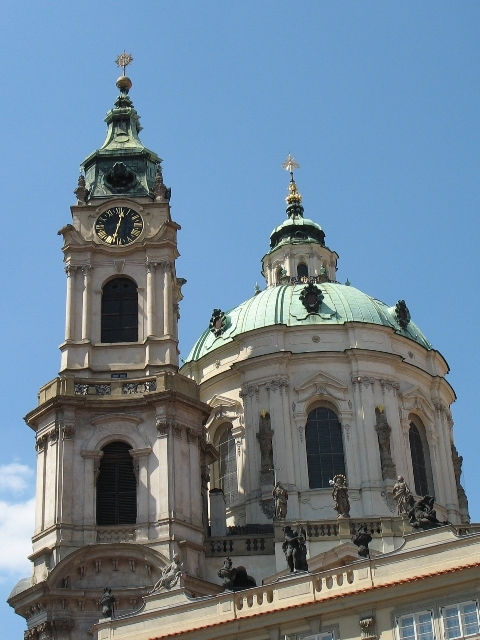 In addition, Prague can be reached by train or car from nearby cities such as Berlin, Dresden, Vienna and Munich. We suggest to take ONLY the official taxis. Contact counters are located in arrival halls of both terminals. The fare should not go over CZK 600 (USD 27-30). Taxi drivers should always issue a signed receipt. Ask the driver about the cost beforehand. They usually accept CCs (ask at the stand and the driver), CZK and EUR (not a very favorable exchange rate), but not USD (or least they are not supposed to). Take the bus no. 119 (direction Nádraží Veleslavín) to the terminal stop Nádraží Veleslavín. The journey takes about 50 minutes in total, the fare is CZK 32 (ca. USD 1.45). You can view the journey on Google Maps along with other options (note that special, higher fare applies on the AE bus line and on Student Agency buses). More information about public transport in Prague can be found below. Taking the train is a convenient option when travelling, e.g., from Berlin or Vienna. Night trains are also a good option esp. from more distant cities like Budapest or Warsaw, but they are becoming rare. All long-distance trains arrive to the main railway station (Hlavní nádraží). Trains arriving from Berlin/Dresden stop at the Holešovice station, too. Most long-distance buses arrive at the Florenc bus station. Take the metro line C (red line, direction Háje) to the Muzeum station (1 stop). NB: the Muzeum station is undergoing repairs. You cannot change directly in the "right" direction. See below. Then change to line A (green line, direction Skalka/Depo Hostivař) and get off at Náměstí Míru (1 stop). Then change to THE OPPOSITE DIRECTION on line A (green line, direction Dejvická) and get off at Malostranská (4 stops). The journey takes about 25 minutes, the fare is CZK 24 (ca. USD 1.15). Take the metro line C (red line, direction Háje) to the Muzeum station. NB: the Muzeum station is undergoing repairs. You cannot change directly in the "right" direction. See below. At Muzeum, change to line A (green line, direction Skalka/Depo Hostivař) and get off at Náměstí Míru (1 stop). The journey takes about 35 minutes, the fare is CZK 32 (ca. USD 1.45). You can view it on Google maps. Take the metro line C (red line, direction Háje) to the Muzeum station (2 stops). NB: the Muzeum station is undergoing repairs. You cannot change directly in the "right" direction. See below. The journey takes about 27 minutes, the fare is CZK 24 (ca. USD 1.15). 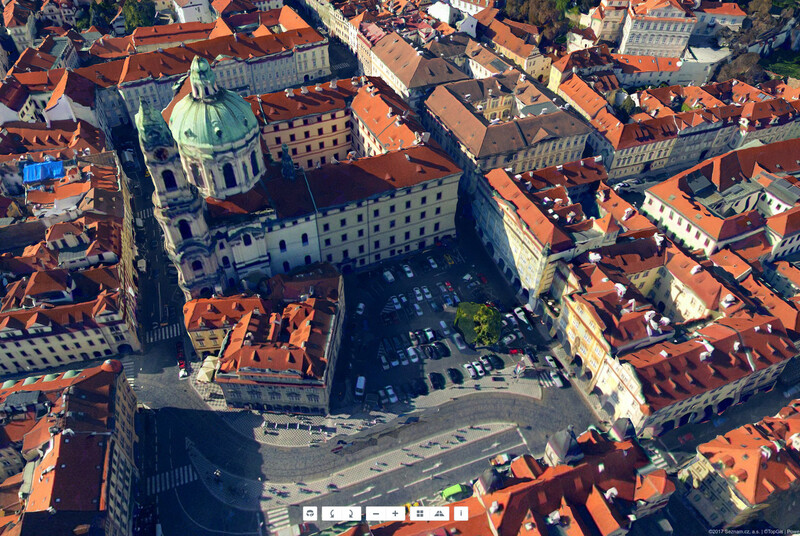 You can view it on Google maps (along with other options). We suggest to take AAA taxis only. Taxi stands are located near all stations (see details for Hlavní nádraží here). The fare should not be over CZK 250-300 (ask about it beforehand). You can call them at a short-hand number 14014. UBER is also available. A car is recommended to reach your hotel only. Prague city center has heavy traffic during rush hours and only a few available parking spots. There is a paid car park on rear side of the building, limited to 2 hours of stay. The nearest underground parking lot at Rudolfinum is about 15 min. walk away from the venue and has the same fee of CZK 60 / hour. 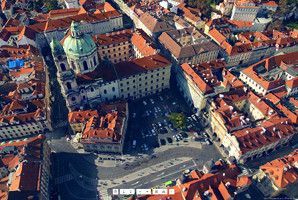 Further on-line maps: Mapy.cz include a full 3D view of the city center. Public transport, including connection finder. Journey planner for trains and buses in the Czech Republic. Printing shops (for printing posters): Xcopy.cz, Copy General.